Samsung has given a glimpse of future technology with the launch of Galaxy S6 Edge Plus in August 2015. The phone features stood at peak. From the screen to battery backup, the phone is fully packed with amazing specifications. It comes in black sapphire, gold platinum, white pearl, silver titan and pink colors. It comes in three models namely SM- G928T, SM- G928A and SM- G928I. Network: The phone uses GSM, HSPA and LTE technology. It runs 4G services smoothly. Body: The phone has a dimension of 154.4 x 75.8 x 6.9 mm. It weighs upto 153 gm and has a corning gorilla glass 4 back panel for excessive durability. The Phone runs Nano SIM. Display: The phone has curved screen which makes the screen to body ration 75.6%. The screen size is 5.7 inches and has a resolution of 1440 x 2560 pixels. The screen type is Super AMOLED capacitive multi touch screen with 16M colors and 518 PPI pixel density. Display screen is unbreakable as it has corning gorilla glass 4 protection. Platform: phone runs on Android OS v5.1.1 (Lollipop). It has a quad core 1.5GHz Cortex- A53 & 2.1 GHz Cortex- A57 CPU. Phone has latest Exynos 7420 chipset and Mali- T760MP8 GPU. 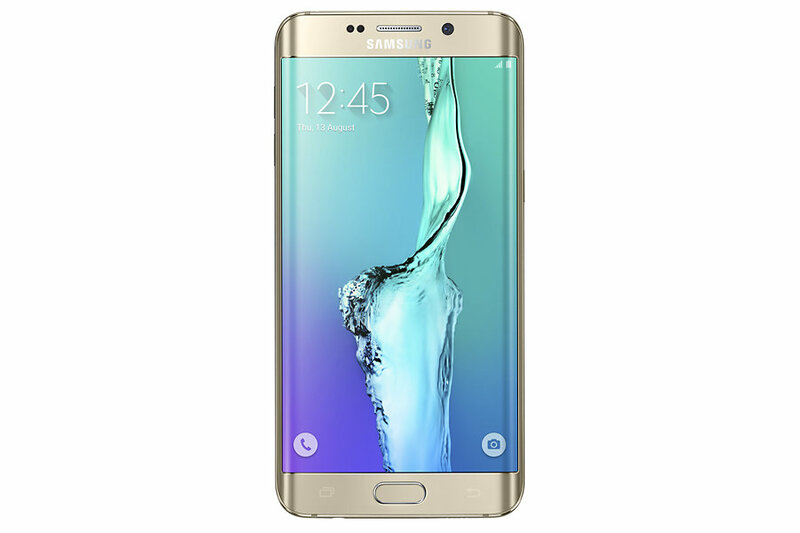 Memory: S6 Edge Plus has an internal storage of 32/64 GB. It has 4 GB RAM for seamless multi tasking experience. Camera: It has a 16 MP, f/ 1.9, 28 mm camera with autofocus, LED flash, geo tagging, touch focus, face detection and many more features. It records HD video. The secondary camera of the phone has 5 MP resolution. Other features: The phone has a lot of exciting other features. it has many sensors like fingerprint scanner, accelerometer, gyro, proximity, compass, barometer, heart rate, SpO2. The phone has revolutionary wireless charging facility. It has S- voice for commands and dictation. It has a lot of office suite features which you can use for reading and editing documents. The Mic of the phone has a feature for cancelling the noise. It plays almost all types of audio and video formats. Battery: S6 EdgePlus has a non removable Li- ion 3000 mAh battery which gives an amazing standby backup.